Foster parents are ‘delighted’ when children in their care are safely returned to their natural parents. 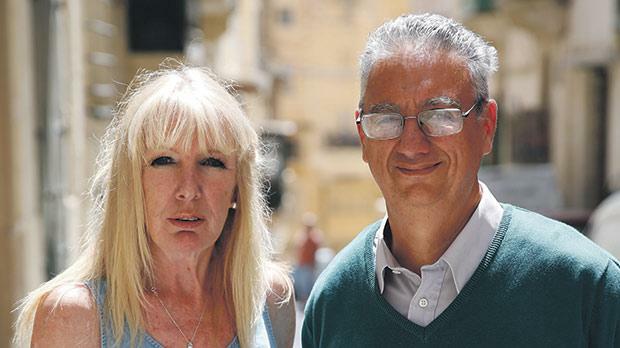 However, they will put their foot down when years roll by and they remain without a place they can permanently call home, Patricia Graham and Charles Sammut tell Sarah Carabott. “How would you like it if a stranger comes to your house, where you feel safe, to take you away for a couple of hours every other week? “If you cannot express yourself with words, you scream and throw a tantrum, but after some years, you start asking questions about why you’re being forced to see someone when you don’t understand why you should meet them,” Patricia Graham, who has been fostering children for seven years told this newspaper. Ms Graham is currently fostering four children. Two of them have been with her for six years and have not seen their natural mother for half of their life. For years, foster carers have been calling for a more stable option for the children they care for. As things stand, only temporary foster care exists, with foster carers facing a review every six months. But as a foster parent, Ms Graham often feels accused of wanting to keep the children she cares for. This could not be further from the truth, she noted, explaining that she has had two children in her care, who were rehabilitated after she worked hand-in-hand with the natural mother for a year. She is doing the same with the mother of another baby who is currently in her care. “I am delighted when they are returned to their natural parents. Yes, we are happy to see them being returned, because our job is temporary fostering,” she insisted. Foster parents have been calling for stability for years. In Malta, children in care do not know whether they will remain at foster homes for a few months or years. In the UK, for example, a plan is set in the first few months following the care order. The period that the child stays away from their natural parents is decided according to what’s beneficial for the child, not the parent. Fellow foster parent Charles Sammut, who sits on the committee of the National Foster Care Association Malta, expressed hope that the long-awaited Child Protection Act would rehaul the system, putting children first on its agenda. “Only the other day my seven-year-old, who hasn’t seen her mother in two years, asked me: ‘Am I going to remain living here?’ This made me realise that our children are afraid. “There are natural parents asking for their children back, which is understandable. However, there are cases where the natural parents reject their children by not turning up for meetings, and this takes its toll on the children,” Mr Sammut, who has been fostering children for eight years, noted. Mr Sammut also believes that contact with the natural parents should not be halted, unless it is traumatic for the children. When they are aged five or less, some are confused about their loyalties, and he still remembers the day that his foster daughter would not let go of the car door’s handle, saying she did not want to see her mother. On the other hand, the natural mother of the boy whom Mr Sammut has been taking care of for seven years, spends quality time with her son. He referred to the case of a baby whom he took care of for three months after she was taken away from her mother. She was then passed on to her aunt and uncle to be fostered by them and Mr Sammut believes that was one of the best experiences of his life. It has been two years since former Family Minister Marie-Louise Coleiro Preca presented a draft of the long-awaited Act. The proposed law aimed to address the issue of children in care who are rarely freed up for adoption. It proposed to introduce mechanisms to free up children for adoption in cases where all attempts to reunite them with their birth parents failed. But the Bill was put on hold and current Family Minister Michael Farrugia said last year he was still mulling the inclusion of permanent fostering. 1. Why hasn’t there been public consultation about the proposed amendments, before the Bill is tabled in Parliament? 2. When is the Ministry planning on releasing a draft of the amended Bill? 3. Foster carers are concerned about the removal of permanent fostering from the amended Bill. They are aware that a board would decide permanency, however, if the current mentality does not change, they fear that everything will remain the same. What is the reaction of the ministry? 4. Foster carers are especially concerned about the increased contact between children and their biological parents, which exacerbates trauma for the children. How will the new Bill tackle this concern?